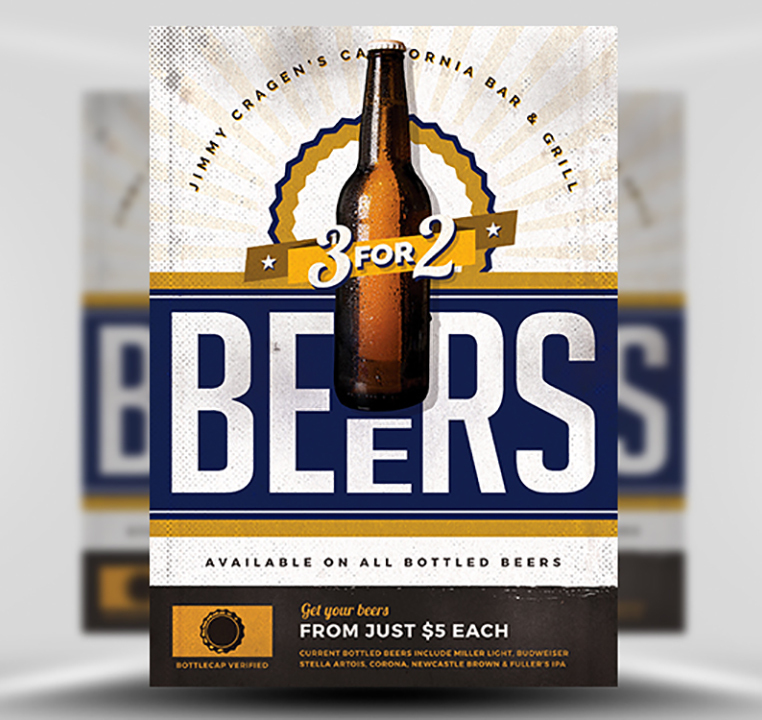 The mix of elements and subtle 3D text effects used in this Vintage Beer Poster Template are reminiscent of retro beer ads and 60s cigarette packets. 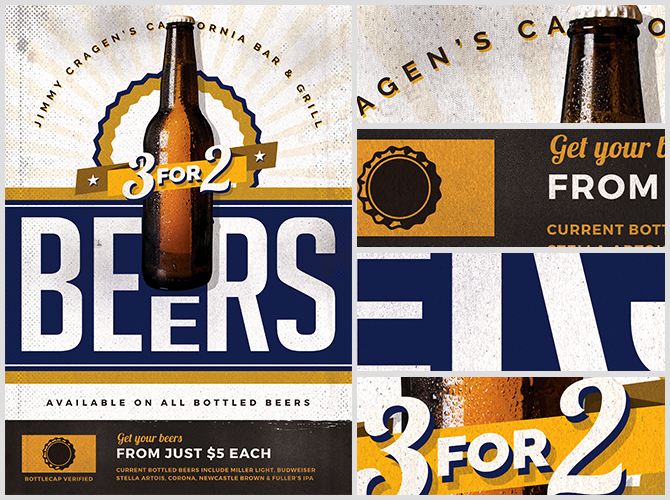 The focus of the poster is the large “BEER” title and overlapping bottle image. This makes it perfect for advertising drinks specials and happy hours. 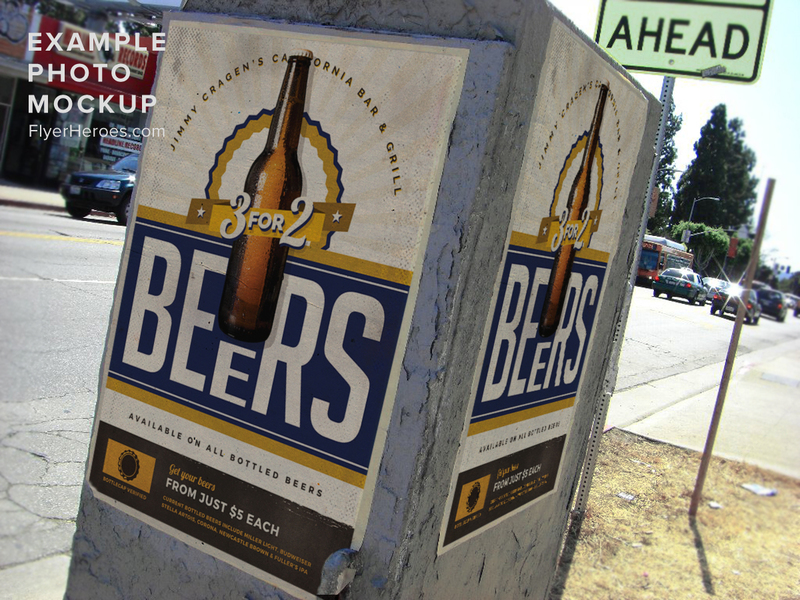 Regardless of whether a person reads the smallprint, they instantly know the offer is for beer. Unlike our earlier vintage designs, the footer and header areas include varying text sizes and slight 3D styles. The footer also displays a far more in-depth information section which reduces the traditionally minimal style. Classic-style posters like this are perfect for decorating your bar with custom vintage artwork. Even if you don’t have a specific promotion in mind, their timeless designs are at home in even the most upscale of venues. 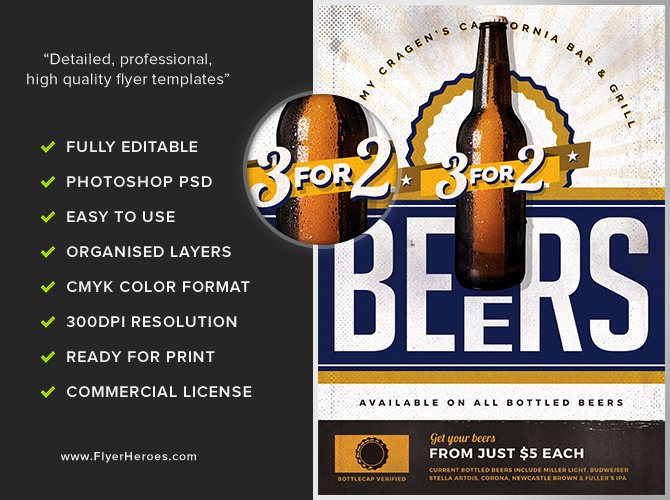 Vintage Beer Poster Template 4 is a premium Photoshop PSD flyer / poster template designed by FlyerHeroes to be used with Photoshop CS4 and higher.